I hope you all had a blast at the Pixel-perfect VMworld Party yesterday, and that you’re not too tired today to attend the last day of VMworld Europe 2012. Let’s make the best of it, attend a few sessions and do a lot of labs! Also, I’ll be doing a short talk on the #vBrownBag scene at the Hang Space at 10:45 on how to automate OS & application deployment using Puppet and Razor. Come see it live! 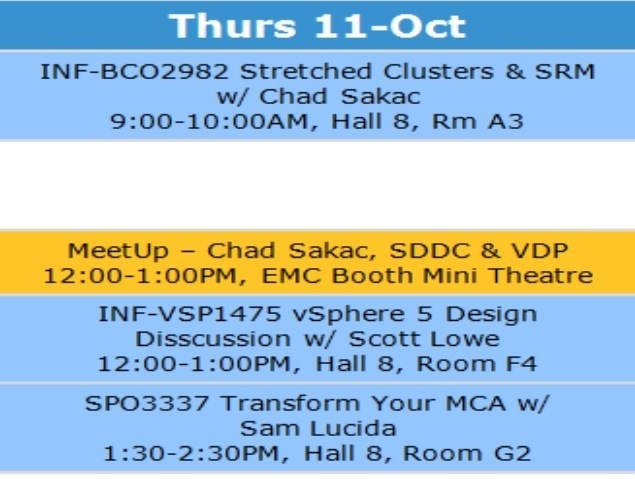 This entry was posted in Automation, EMC, IT Transformation, News, Puppet, VMware, VMworld. Bookmark the permalink.